Life In A House of Blue ! : The Bill Engvall Show, third season begins TODAY ! Home > press > The Bill Engvall Show, third season begins TODAY ! The Bill Engvall Show, third season begins TODAY ! In The Bill Engvall Show, Bill plays a family counselor. He has two boys, a daughter and a wife. Nancy Travis (Becker, The Jane Austen Book Club) plays the wife named Susan. I am so used to sitcoms showing couples that disrespect each other - getting laughs out of being rude. But from what I saw of the third season, that doesn't hold true here. They get laughs out of normal, real marriage stuff. Like wives that ask for their husband's opinions and then they do the opposite. Tim Meadows (Saturday Night Live) is also in the show as Bill's friend and the family's defacto uncle Paul DuFrayne. Okay, that dude is just whacky! Very funny! Completely weird and stange and I probably wouldn't let him hang out with my family too long. :smile: Him and Bill together often get into strange trouble - but Susan can always tell when Paul instigates the weirdness. The kids are played by Jennifer Lawrence (The Burning Plain) as Lauren, a high-school student who is pretty and popular; Graham Patrick Martin (The Girl Next Door) as Trent, the skateboarding and video gamer who's not exactly the sharpest crayon in the box; and Skyler Gisondo (Walk Hard: The Dewey Cox Story) as Bryan who is insanely smart and doesn't see eye-to-eye with his siblings... or anyone else for that matter! Bill and Susan are feeling the economic pinch, just as Lauren prepares to take an expensive trip for spring break. Bill is certain her disappointment in not being able to go will permanently scar their father-daughter bond. Trent finds out that Paul lost all his baby pictures many years ago. Bill realizes he is being passive-aggressively manipulated by Susan and decides to do something about it by taking it upon himself to shop for their new bedspread. Trent, meanwhile, tries too hard to impress a girl and, with Bryan and Lauren’s help, winds up joining her on a mock United Nations delegation representing India. Bill and Susan get an eye-full when their neighbor, Mr. Faulkner (guest star Brian Doyle Murray), decides to indulge in his new hot tub au naturel. Here is a sneak peek of one of the episodes! 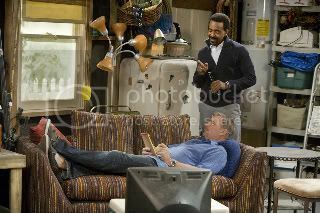 So be on the lookout for The Bill Engvall Show on TBS. I have not yet seen this one. It is good to have a recommendation. My sister told me about this. It sounds funny! difficult These Tips For Purchasing The undefiled Jewelry instruct close to tips and advice on how to buy and betray adornment was bad interesting, yes? can screw to hold or even loose commercial enterprise.